In Germany and France translations of practically all major and minor novels by Fëdor Mihajlovič Dostoevsky (1821-1881) were published, and often reprinted, before the outbreak of the First World War. The German public immediately accepted Dostoevsky as modern and thanks to the particular popularity of his works in German translation “ergriff die russische Literatur breitere Schichten des Publikums und fand eine größere Resonanz als zuvor” (Hoefert 1974: viii). Among the French, Dostoevsky’s name had already become a household word by the end of 1880s, and “everyone in France had read, or pretended to have read” his main works (Hemmings 1950b: 2). In the Dutch-speaking regions of Europe, however, the reception of Dostoevsky had a particularly slow beginning. The very starting point of this reception was the publication in 1881 of the obituary notice “Necrologie van Feodor Dostoieffsky”in the literary journal De Portefeuille (1880-1881: 443). Nevertheless, four years later he was still a total stranger to the average Dutch reader. An article of the newspaper De Amsterdammer of 1885 speaks for instance of Dostoevsky in terms of “the great Russian writer, unknown in this country” (Cooplandt 1885: 10; my translation from Dutch). During the three decades that followed the discovery of Dostoevsky, the Netherlands and Flanders showed very little interest in his works. Of all his major novels only the Dutch translations Schuld en boete (Dostojewsky 1885, Crime and Punishment) and De gebroeders Karamazow (Dostojefsky 1913, The Brothers Karamazov) had appeared before the First World War. Both translations were moreover intermediated: Schuld en boete (1885) is a translation from the German and De gebroeders Karamazow (1913) was established through French. Recent descriptive translation research (De Mesel 2004) has proved that Schuld en boete (1885), translated through the German work Raskolnikow (Dostojewskij 1882), is a rather adequate translation of Dostoevsky’s original. This is not the case of De gebroeders Karamazow (1913), the translation made by the social-democratic author Anna van Gogh-Kaulbach (1869-1960). The present article focuses on the particular nature of the latter translation – i. e. the very first and until the 1930s only Dutch translation of Dostoevsky’s Brat’ja Karamazovy (1879-1880) – and on the motives underlying the adapted translation strategies. The article is structured as follows. In the second part, titled “Mitja’s prison break”, I will discuss the translational status of De gebroeders Karamazow (1913) and the most remarkable shifts vis-à-vis Dostoevsky’s original work, which are situated in its epilogue. The third part of the article is dedicated to the early French reception of Brat’ja Karamazovy, or more specifically, to the first French translation of the latter, to its translators and critics. In the fourth part of this article, I will explain the particular nature of De gebroeders Karamazow (1913) by referring to the impact of the French reception of Brat’ja Karamazovy on the Dutch reception of the same work. The fact itself that De gebroeders Karamazow (1913) by Anna van Gogh-Kaulbach, was not translated directly from the Russian, but through French, was not kept secret by the editor; it is mentioned explicitly on the title page of its third edition (1917). The existing bibliographies of Russian literature in Dutch translation, for their part, do not mention which French version of Brat’ja Karamazovy served as the effective source text for the Dutch translation; until now this has never been researched by scholars. A comparison of De gebroeders Karamazov (1913) with the early French translations of the same source text, has shown that this Dutch translation is a remarkable amalgam of two different French translations; about ninety-five percent of the pages (namely pp. 1-418) are translated from Les frères Karamazov (Dostoïevsky 1906), a translation by Jean-Wladimir Bienstock and Charles Torquet. The remaining five percent (pp. 418-442) are though translated from Les frères Karamazov (Dostoïevsky 1888) – a polemical translation by Ely Halpérine-Kaminsky (1858-1936). The translated episodes from the latter translation concern only the last six chapters of De gebroeders Karamazow (1913). For the sake of clarity it must be added that Dostoevsky’s original novel contains four parts and an epilogue, which consists of only the following three chapters: I. Proekty spasti Mitju (The projects to save Mitja), II. Na minutku lož’ stala pravdoj (For a little while a lie became truth)andIII. Pochorony Iljušečki. Reč’ u kamnja (The funeral of Iljušečka. The speech by the stone). The epilogue of De gebroeders Karamazow (1913), however, continues with six other chapters, titled as follows: IV. De keuze (The choice) , V. Mitia’s vertrek (Mitja’s departure), VI. Mitia’s ontvluchting (Mitja’s escape), VII. Vader Zossima (Father Zosima), VIII. Weer een Karamazow (Again a Karamazov) and IX. De uitspraak (The verdict). The six added chapters in question did not originate from Dostoevsky’s genius, but they are the fruit of the fetterless imagination of the French translator Halpérine-Kaminsky and the obscure romantic poet Charles Morice (1861-1919). It should be stressed that Morice did not understand a single word of Russian (cf. Dostoïevsky 1929: vi-vii); he was not involved in the translating process in the narrow sense of the word. In Dostoevsky’s Brat’ja Karamazovy (1879-1880), the plans to liberate Mitja Karamazov from jail, which come up in the epilogue’s first chapter, I. Proekty spasti Mitju (The projects to save Mitja), are not carried out. The novel ends, somehow unsatisfactorily, with Alëša Karamazov’s moralizing speech after the funeral of the little boy Iljušečka. In defence of Dostoevsky one could argue that he intended to write a sequel to his Brat’ja Karamazovy. This plan was foiled, however, by his unexpected death from emphysema on 28 January / 9 February 1881. The epilogues of Les frères Karamazov (1888) and De gebroeders Karamazow (1913) provide Dostoevsky’s last novel with a much more spectacular ending. Encouraged by Katerina Ivanovna, Alëša decided to action. On the eve of the departure of the convoy of the sentenced to Siberia, he and the seductive Grušenka, both disguised as peasants, visit the jail in which Mitja is imprisoned. Having plied an officer with lots of brandy and having bribed some guards, Alëša, who promptly turns out to be born a manipulator, manages to set his brother free. Instead of eloping himself, he takes the place of his brother in jail, completely voluntarily. Almost immediately after the departure of his brother, Alëša falls asleep. In his dream, he has a vision of his mentor; the deceased monk Zosima. Writing this vision, Halpérine-Kaminsky was inspired by the sermon of Zosima from chapter III of the sixth book of Dostoevsky’s original novel. In his translation he did not translate this chapter. In De gebroeders Karamazow (Dostojefsky 1913: 171-180) by van Gogh-Kaulbach the sermon of Zosima was, however, not omitted. Alëša’s vision functions consequently as a bizarre echo in the latter translation. Hemmings (1950a: 237) has pointed out that the dream of Alëša, created originally in French by Halpérine-Kaminsky and translated into the Dutch by van Gogh-Kaulbach, has little credibility as such: it consists of a succession of reasoned arguments, which do not belong to a dream. Dostoevsky himself always made dreams chaotic, vague, inexplicable and therefore credible. In the French translation by Halpérine-Kaminsky, the third and very last chapter of Dostoevsky’s genuine epilogue, III. Pochorony Iljušečki. Reč’ u kamnja (The funeral of Iljušečki. The speech next to the stone), is completely omitted. Therefore, the moralizing speech of Alëša in chapter VIII of Les frères Karamazov (1888) is not seen by the French reader as “another sermon by Alëša”. As mentioned earlier, the last six chapters of the epilogue of De gebroeders Karamazow (1913) were translated from Halpérine-Kaminsky’s version. The first three chapters of its epilogue, however, were translated from Les frères Karamazov (1906) by Bienstock and Torquet. Thus, the epilogue of van Gogh-Kaulbach’s translation includes two different moralizing speeches of Alëša: the first one, next to the stone, by Dostoevsky and the second one, in court, invented by Halpérine-Kaminsky. This causes another echo-effect, which may have annoyed the Dutch readers. Alëša’s pathetic pleading in court ends with the words: “I count thus that your justice is to be made. I have nothing more to say, my gentlemen, but only, that I accept your judgement in advance in all respect and humbleness, whatever it may turn out to be” (Dostojefsky 1913: 441; my translation from Dutch). Van Gogh-Kaulbach writes, in imitation of Halpérine-Kaminsky: “The emotion was so great, that it could only manifest itself through dead silence, interrupted by sobbing” (Dostojefsky 1913; my translation from Dutch). The finale reaches its culmination when the crippled girl Liza miraculously enters the courtroom by herself. Pointing at Alëša she yells out: “He is a righteous man! He saved me!” (Dostojefsky 1913: 442; my translation from Dutch). The manifestation of this prodigious healing, by everyone accredited to Alëša, is followed by his acquittal and by enthusiastic ovations. Strikingly, the pseudo-translation of Dostoevsky’s epilogue is larded with Russian barbarisms such as ‘izba’ and ‘moujik’, whereas this kind of words are usually translated in a naturalising way (i.e. as ‘hut’ and ‘peasant’) in the rest of the texts of Les frères Karamazov (1888) and De gebroeders Karamazow (1913). By means of this exotic vocabulary, Halpérine-Kaminsky undoubtedly tried to create a Russian couleur locale in order to make the epilogue credible as an inalienable part of an original Russian work. Translating Brat’ja Karamazovy, Halpérine-Kaminsky did not limit himself to the rewriting of the epilogue, but he also adapted the sequence of the chapters and left out quite some episodes (cf. also Hemmings 1950a). A number of these passages were collected and published as a separate novel by Dostoevsky of some 150 pages, titled Les Précoces (The Precocious, cf. also Dostoïevsky 1930: 107-265). In the first editions of this work the name of Karamazov was substituted by ‘Chestomazov’. Only in the 1930 version of Les Precoces the original name of Karamazov was re-established. Les Précoces was a great commercial success in France: the first edition of 1889 was quickly sold out (cf. Dostoïevsky 1930: 109), and over thirty-five reprints followed, even until the mid-1930s. Also other translations of Dostoevsky by Halpérine-Kaminsky testify to his particular creativity in translating; e.g. in 1886 a work titled L’esprit souterrain (The Underground Spirit) was published. For many years this work was considered a translation of Zapiski iz podpol’ja (1864, Notes from the Underground). Minssen (1933:16) discovered, however, that L’esprit souterrain is an amalgam of two translations (cf. also Miller 1973): the first one of Dostoevsky’s (in)famous notes Zapiski iz podpol’ja and the other one of his less known pre-Siberian novel Chozjajka (1847, The Landlady). 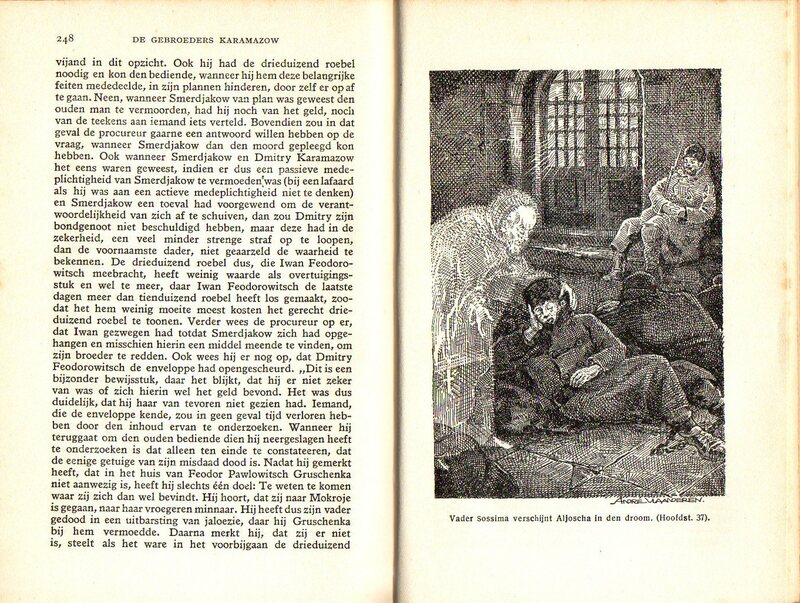 In 1888, a Dutch translation of L’esprit souterrain (1886) was published with the title De onderaardsche geest (Dostojewsky 1888, The Underground Spirit). Until now, this remarkable translation escaped from the attention of scholars; in the bibliographies by Kingma (1981: 158) and by Waegemans & Willemsen (1991: 168), De onderaardsche geest (Dostojewsky 1888) is therefore mentioned as a translation of only Zapiski iz podpol’ja (1864). Polemics rose in France; Halpérine-Kaminsky defended his translation strategy with ardour, expanding the prefaces of later editions of respectively L’esprit souterrain (Dostoïevsky 1929: i-xxviii), Le journal intime de Raskolnikov (Dostoïevsky 1930: 109-111) and Les frères Karamazov (Dostoïevsky 1932: 13-14). The quintessence of Halpérine-Kaminsky’s defence against Gide’s attack consists in his assertion that the French readership of the nineteenth century was not mature enough to appreciate a raw Dostoevsky. He maintains that an adequate translation of Dostoevsky’s last novel, of which “un bon tiers contenait des êpisodes sans lien direct avec la marche générale de l’action” (Dostoïevsky 1932: 13), at that time would have meant “éloigner à plaisir et pour de longues années les lecteurs français des Frères Karamazov” (Dostoïevsky 1932: 13). The latter contention of Halpérine-Kaminsky should be regarded in its historical and cultural context. In the mid-1880s, two different works were published in France whose purpose was to familiarise the French readers with Russian literature: Les grands maîtres de la littérature russe du 19me siècle by Ernest Dupuy (1885) and Le roman russe by Count Eugène-Melchior de Vogüé (1903). In spite of the title of his work, Dupuy does not even mention Dostoevsky (cf. Teitelbaum 1946: 99); apparently he did not consider him “a great master of the Russian literature of the nineteenth century”. Vogüé, on the other hand, who had a much greater impact on the early French reception of Dostoevsky than Dupuy, does treat the great master quite in detail. A bit further Vogüé (1904: 253) maintains that reading some novels by Dostoevsky requires the same amount of concentration as reading a philosophical treatise, which he calls “un plaisir ou un inconvénient, suivant les catégories de lecteurs” (Vogüé 1904: 253). The count himself clearly belonged to the second category. Halpérine-Kaminsky (Dostoïevsky 1929: xi), for his part, objects to this by referring to the title page of his translation, which reads: “traduit et adapté”, which according to him fully corresponds the traditional French way to present a translation of that nature. The plan of Halpérine-Kaminsky succeeded: Les frères Karamazov (1888) was most certainly successful in France. He himself declared proudly that it was because of his adaptation, that “ce chef-d’œuvre rendu… mettons, moins « foisonnant », est devenu classique aux yeux du public” (Dostoïevsky 1929: xii). Even though in 1906 and 1923 respectively a more adequate French translation by Jean-Wladimir Bienstock and Charles Torquet (Dostoïevsky 1906) and an adequate translation by Henri Mongault and Marc Laval (Dostoievski 1923) were published, the version of Halpérine-Kaminsky was regularly reprinted until the mid-1930s. When in the first quarter of the twentieth century, Anna van Gogh-Kaulbach had accepted to translate Brat’ja Karamazovy into the Dutch for the very first time, she had the choice between two different French source texts: the totally inadequate, but very successful Les frères Karamazov (1888) by Halpérine-Kaminsky or the more adequate, but less successful Les frères Karamazov (1906) by Bienstock and Torquet. The dilemma resulted in a compromise: she translated the epilogue from Halpérine-Kaminsky and the rest from Bienstock and Torquet. Apparently, van Gogh-Kaulbach and her publisher had more confidence in the chances of success of the spectacular and maudlin epilogue by Halpérine-Kaminsky than in the chances of Dostoevsky’s epilogue. This pursuit of acceptability at the cost of equivalence, and the fact that intermediate translations were used, interpreted in polysystemic terms (cf. Even-Zohar 1990), testify that on the eve of the First World War, Russian literature occupied a rather peripheral position in the Dutch literary system. Otherwise said, the Dutch-speaking readership of the first quarter of the twentieth century was still marked by quite some aloofness vis-à-vis Russian literature in general and towards Dostoevsky and his very last novel in particular. In 1916 the lack of interest of the Dutch readers towards Dostoevsky struck Attie Nieboer, to my knowledge the only literary critic who wrote a review of the translation by van Gogh-Kaulbach. In an attempt to understand why “the greatest of all judges of human nature” was largely neglected in the Netherlands, he jumped – rather quickly – to the conclusion that the explanations are to be found in “one of the deepest rooted defects in the character of our people”, namely “the narrow-minded conventionality” (Nieboer 1916: 373). According to him, the “repugnance, the inclination to reject everything that is stranger than usual, that is not in accordance with what is generally accepted and what is, in their opinion, fixed for all times” is typical of many northern peoples. In the case of the Dutch people, however, this character trait would “take a revolting shape”. In the view of Nieboer, Dostoevsky would never become a popular writer in the Netherlands simply because he “ is a Russian in all his fibres, in each pulse beat; because all his men are Russians, because they are who they are. If need be, they are beasts, miraculous mixtures of animal and God, men full of lies, betrayal and childlike truth, tough and cynic, but at the same time with a female softness; stupid and barbarian, and deep, perceptive thinkers with a beautiful consciousness of Christianity… everything what a man can be if he dares to be a man.” (Nieboer 1916: 374). When discussing the actual translation by van Gogh-Kaulbach, Nieboer (1916: 420) first criticizes the price of the book (five guilders), which he claims to be not at all within the reach of the average reader. He explains the high price by referring to the unpopularity of all translated novels by Dostoevsky. Even Schuld en boete (Crime and Punishment), so widely acclaimed by critics all over the world, appeared to be “a rope round the neck” of the publishing house. In line with this, Nieboer predicts little success for De gebroeders Karamazow in the foreseeable future. Nevertheless, he encourages the reader to put his librarian under pressure to buy the book “although it may not be asked for very frequently” (Nieboer 1916: 420). In his review, Nieboer pays considerable attention to the portraits of the main characters. They can indeed be seen as a provocation of conservative literary taste, for as much the Karamazovy – with the exception of Alëša – are afflicted with practical or theoretical moral degradation. Father Karamazov is described as “a lecher, a crook, who betrayed the poor” with the only virtue of self-criticism. Ivan is the atheist, the philosopher, in whose view “everything is permitted”. Dmitrij in turn is “a man in the widest sense of the word”, “the human being who lives it up, who stuns himself with binges, the slave of his sensual desires”. Nieboer (1916: 420) himself judges the latter character surprisingly positively, because by suffering from his own lowness, Dmitrij is a prototype of “the Russian man, of the “human being” everywhere on earth”. However, he is particularly full of admiration towards Alëša, whom he calls “probably the most beautiful character of all novels written until now” (1916: 421). In line with this, Nieboer pronounces a very positive judgement about the novel, in which he finds “many words of great wisdom and truth and love” (Nieboer 1916: 421). Nevertheless, even he admits that he skipped some considerations expressed by the character of Ivan, which according to him drive the reader to madness. An ugly brownish cover […], carelessly sewn, a cheap and unsatisfactorily revised “print”; no, this edition, which is by the way already quite expensive for a translated work, should have been something better, even in time of war”. On the other hand, Nieboer (1916:423) praises the publishing house and the translator Anna van Gogh-Kaulbach for the text of the translation itself, which he calls “in general good”. His only criticism to her concerns some formulations, which according to him sound too artificial in Dutch. Apparently, the critic was not aware of the surprising degree of inadequacy of the translation. More interestingly, Nieboer (1916: 423) passes a big part of the responsibility for the sloppiness of the edition onto the Dutch readers, “who give away steaks of money to trashy books, that they throw away after the reading, who insufficiently support the editor […] to publish an invaluable work such as this one, which is not a sensational best seller. Such a work can only be gainful by being sold to libraries. Logically, the acquisition price must be high, and the edition itself cheap.” By way of conclusion, Nieboer (1916: 423) expressed his hope that “the difficult saleability of the novel, beforehand presumed by the editors, would turn out to be a mistake”. As shown, Nieboer argued that the aloofness of the Dutch-speaking readership regarding Dostoevsky and the writer’s unpopularity were mere consequences of the narrow-mindedness of the average Dutch reader. Although this assertion might not be totally wrong, it is not satisfactory as a full explanation. The reticence towards Brat’ja Karamazovy can also be explained by referring to the novel’s reputation bestowed upon it by Vogüé, who had quite some influence on the early Dutch reception of the nineteenth-century novelists of Russian literature. Vogüé’s impact on the Dutch-speaking readers was straightforward, namely through his survey and articles, which were widespread among the Dutch and the Flemish, as well as indirect, i.e. through secondary works influenced by him. The latter quotation constitutes a rather bizarre way to describe the essence of Dostoevsky’s last novel for the very first time to the Dutch-speaking readership. It is clear that it was not aimed at making the Dutch readership enthusiastic for Brat’ja Karamazovy. The comparison between Flaubert’s Bouvard and Pécuchet and Russian literature was made earlier by Vogüé (1904: xxxiii-xxxiv). Vogüé’s Le roman russe (1885) was also used as a source of Inleiding tot de Russische literatuur-geschiedenis (1909) by Stokvis, which was one of the first (cf. Romein 1924: 214) original Dutch surveys of the Russian literature. In this survey, Brat’ja Karamzovy is called “the most important, but also the most difficult work of D.” (Stokvis 1909: 143; my translation from Dutch). The Dutch publishing houses certainly did not consider presumed difficulty as a commercial advantage. Stokvis (1906), who otherwise shows more admiration for Dostoevsky’s last novel than Vogüé did, might thus have frightened Dutch publishing houses such as Van Holkema & Warendorf, who were considering to publish the first Dutch translation of Brat’ja Karamazovy. This could explain why Van Holkema & Warendorf chose to use French translations as source texts, which were targeted on acceptability, and not for instance a more adequate German one. After all it was common to translate Dostoevsky into the Dutch from the German; my research has shown that of eleven Dutch translations in book form of Dostoevsky that were brought out before the First World War, at least eight were translated from the German. German translations of Dostoevsky, generally adequate ones, played a major role in the early Dutch reception of the writer, at least in quantitative terms. The influence of French translations on the Dutch reception of Dostoevsky, on the other hand, was rather limited in quantitative terms: De onderaardsche geest (Dostojewsky 1888) and De gebroeders Karamazow (Dostojefsky 1913) are the only two Dutch Dostoevsky translations in book form published before the First World War that were made from French. Nevertheless, the intermediating French translations had an utmost peculiar qualitative impact on the early Dutch reception of Dostoevsky. In this article it has been established how two different polemical French translations of Dostoevsky’s Brat’ja Karamazovy were fused together into the Dutch work De gebroeders Karamazow (1913). The motives underlying van Gogh-Kaulbach’s translation strategy were in this article linked to the reticence of the Dutch readership towards Dostoevsky in general and towards Brat’ja Karamazovy in particular. Moreover, this article has attributed this aloofness partly to the influence of the early French reception of Dostoevsky’s very last novel. The translation amalgam De gebroeders Karamazow (1913) by van Gogh-Kaulbach was a rather modest success: it was reprinted three times: in 1915, 1917 and in 1920. (cf. Waegemans & Willemsen 1991: 164). Its monopoly in the creation and manipulation of the image of Dostoevsky’s very last masterpiece by means of Dutch translation would last until the 1930s, when a new, again shortened and adapted Dutch translation, and a complete Dutch translation of Brat’ja Karamazovy were published. Article published under the title ‘The French Influence in the Early Dutch Reception of F.M. Dostoevsky’s Brat’ja Karamazovy.’ in Babel. The International Journal of Translation. 55:3. John Benjamins Publishing Company. p. 264-84. More recent findings on the reasons underlying the translation strategy of Van Gogh are discussed in: Boulogne, Pieter. Het temmen van de Scyth. De vroege Nederlandse receptie van F.M. Dostoevskij. Amsterdam: Pegasus, 2011. Bautz,Friedrich Wilhelm. Biographisch-Bibliographisch Kirchenlexicon. Band I. Hamm Westf. : Traugott Bautz, 1990. 1600 p.
Boutchik, Vladimir. 1934. Bibliographie des œuvres littéraires russes traduites en français. Paris : G. Orobitg & Cie. 199 p.
Brunetière, Ferdinand. 1888. Le roman naturaliste. Paris : Calmann-Lévy. 395 p.
Cooplandt, A. 1885. “Germinal” In: De Amsterdammer. 19 april 1885: p.10. De Mesel, Benjamin. 2004. [licentiate’s thesis] Schuld en boete: de oudste Nederlandse vertaling van Prestuplenie i nakazanie (F. M. Dostoevsky). K.U.Leuven. Faculteit Letteren. Departement Oosterse en slavische studies. Promotor: Prof. Emmanuel Waegemans. 122 p.
De Portefeuille. Letterkundig weekblad. 1880-1881. Arnhem, G.J. Thieme, 2 (1880-1881). Dupuy, Ernest. 1885. Les grands maîtres de la littérature russe au dix-neuvième siècle. Paris : Lecene et Oudin. 362 p.
Even-Zohar, Itamar. 1990. “The Position of Translated Literature within the Literary Polysystem” In: Poetics Today. Vol. 11, No. 1, Polysystem Studies. Spring 1990, pp. 45-51. Frank, Joseph. 2003. Dostoevsky. The Mantle of the Prophet, 1871-1881. Princeton: Princeton University Press. 784 p.
Gide, André. 1923. Dostoïevsky. Articles et causeries. Paris : Plon. 311 p.
Hemmings, F.W.J. 1950a. “Dostoevsky in disguise. The 1888 French version of The Brothers Karamazov.” In: French Studies. A Quaterly Review. Volume IV. Oxford: Basil Blackwell, 1950. pp. 227-238. Hemmings, F.W.J. 1950b. The Russian novel in France 1884-1914. Oxford: University Press. 250 p.
Hoefert, Sigfrid. 1974. Russische Literatur in Deutschland. Texte zur Rezeption von den Achtziger Jahren bis zur Jahrhundertwende. Tübingen: Max Niemeyer Verlag. 174 p.
Kingma, Jelle. 1981. “Dostojevski in het Nederlands” In: Maatstaf. Januari 1981. No.1, pp. 151-184. Miller, C. A. 1973. “Nietzsche’s “Discovery” of Dostoevsky” In: Nietzsche-Studien. Internationales Jahrbuch für die Nietzsche-Forschung. Band 2, 1973. Berlin – New York: Walter de Gruyter, pp. 202-257. Minssen, Hans Friedriech. 1933. Die französische Kritik und Dostojewski. Hamburg: Hamburger Studien zu Volkstum und Kultur der Romanen, Bd. 13. 128 p.
M[oor], P. v.d. 1910. “Uit Parijs” In: Fischer, F.H. (ed.) De Samenleving: Nederlandsch weekblad. Amsterdam: Algemene Uitgevers-maatschappij, 1910, pp. 649-650. Nieboer, Attie. 1916. 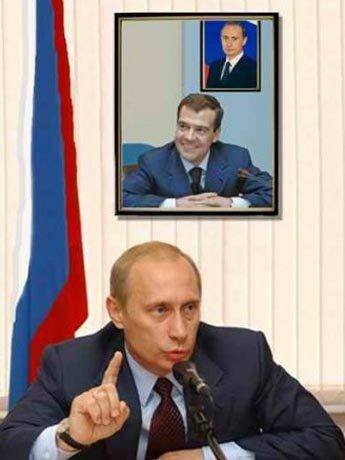 “Russische literatuur. Dostoievsky” In: Eigen Haard. Geïllustreerd Volkstijdschrift, 42 (1916). Amsterdam: J.H. de Bussy, pp. 332-334, 373-374, 420-422. Rayfield, Donald. 2000. “A Virgil to his Dante: Gide’s reception of Dostoevsky” In: Forum for Modern Language Studies. XXXVI. No. 1. January 2000, pp. 340- 356. Romein, Dr. J. M. 1924. Dostojewskij in de Westersche kritiek. Een hoofdstuk uit de geschiedenis van den literairen roem. Haarlem: H.D. Tjeenk Willink & Zoon. 224 p.
Stokvis, Z. 1909. Inleiding tot de Russische literatuurgeschiedenis. Amsterdam: Maas & Van Suchtelen. 239 p.
Schweikert, Werner. 2003. Die russische und die Literaturen der früheren Sowjetrepubliken in deutscher Übersetzung. Teil 1 1880-1965. Eine Übersicht über deren Rezeption in deutscher Sprache. Flein bei Heilbronn: Verlag Werner Schweikert. 438 p.
Ten Brink, Dr. Jan. 1885. “Moderne romanschrijvers. Theodoor Michaïlovitch Dostojewski.” In: Nederland. Mei 1885. pp. 71-105. Teitelbaum, Salomon M. 1946. “Dostoyevski in the France of the 1880’s” In: American Slavic and East European Review, Vol. 5, No. ¾. (Nov., 1946), pp. 99-108. Troyat, Henri. 1942. Dostoïevsky. Paris : Fayard. 632 p.
Vogüé, Vte E.-M. de. 1904. Le roman Russe. Paris : Plon. Cinquième edition. 351 p.
Waegemans, Emmanuel & Willemsen, Cees. 1991. Bibliografie van Russische literatuur in Nederlandse vertaling 1789-1985. Leuven: Universitaire pers Leuven. 391 p.
1885 Dostojewsky, F.M. Schuld en boete. <Prestuplenie i nakazanie, 1866> ’s Gravenhage: A. Rössing. Vert. [uit het Duits <Raskolnikow (1882)>] door Petros Kuknos. 244 + 218 + 252 p.
1886 Dostojewski. De misleide. <Unižennye i oskorblënnye, 1861> Amsterdam, C.L. Brinkman. [Vert. uit het Duits <Erniedrigte und Beleidigte (1885)>] 369 p.
1887 Dostojewsky F.M. Arme menschen. Russische roman. <Bednye ljudi, 1846> Amsterdam: A. Rössing. Vert. [uit het Duits <Arme Leute (1887)>] door A. van der Hoek. 211 p.
1888 Dostojewsky F. M. De onderaardsche geest. Russische roman. <Chozjajka (1847) + Zapiski iz podpol’ja, 1864> Amsterdam: A. Rössing. Vert. [uit het Frans <L’esprit souterrain (1886)>] F. van Burchvliet. 270 p.
1890 Dostojewsky F. M. De speler. (De gedenkschriften van een gouverneur). Russische roman. <Igrok, roman, 1866> Den Helder-Amsterdam: J.H. van Balen – J.M. van Diemen. [Vert. uit het Duits <Der Spieler (1888)>] 242 p.
1891 Dostojewsky F.M. Arme Nelly <Unižennye i oskorblënnye, 1861> Amsterdam: Holdert. [Vert. uit het Duits <Erniedrigte und Beleidigte (1890)>] 182 p.
1891 Dostojefsky F.M. Uit Siberië <Zapiski iz Mërtvogo doma, 1860-1862> Amsterdam: S. Warendorf Jr. [Vert. uit het Duits <Aus dem todten Hause (1886)>] 252 + 216 p.
1906 Dostojefskiej F.M. Witte nachten; sentimenteele roman. (Uit de herinneringen van een droomer). <Belye noči. Sentimental’nyj roman. Iz vospominanij neizvestnogo, 1848> Amsterdam: Maas & Van Suchtelen. 1906. Vert. Z. Stokvis. 139 p.
1906 Dostojewski F.M. Uit het Doodenhuis. <Zapiski iz Mërtvogo doma, 1860-1862> Amsterdam: Cohen Zonen. Vert. [uit het Duits<Aus dem todten Hause (1890)>] door M. Faassen. 240 p.
1907 Dostojewski F.M. De echtgenoot. <Večnyj muž, 1870> Amsterdam: Cohen Zonen. Vert. [uit het Duits <Der Hanrei (1888)>] door M. Faasen. 146 p.
1913 Dostojefsky F.M., De gebroeders Karamazow. <Brat’ja Karamazovy, 1879-1880> Amsterdam: Van Holkema & Warendorf. Vert. [uit het Frans <Les frères Karamazov (1888) + Les frères Karamzov (1906)>] door Anna van Gogh-Kaulbach. 442 p.
1930 Dostojewsky. F.M. De gebroeders Karamazow. <Brat’ja Karamazovy, 1879-1880> Amsterdam: Hollandsch Uitgeversfonds. Ca. 1930 [?]. Verkorte en bewerkte tekst. 355 + 325 p.
1932 Dostojefski, F.M. De gebroeders Karamazow. <Brat’ja Karamazovy, 1879-1880> Amsterdam: Van Holkema & Warendorf. Onverkorte vert. uit het Russisch van Dr. A. Kosloff. 727 p.
1884 Dostoïevsky, Th. Crime et châtiment. <Prestuplenie i nakazanie, 1866> Paris : Plon. Trad. par Victor Derély. 334 + 308 p.
1888 Dostoïevsky, Th. Les frères Karamazov. <Brat’ja Karamazovy, 1879-1880> Paris : Plon. Traduit et adapté par E. Halpérinsky et Ch. Morice. Avec un portret de Th. Dostoïevsky. 265 + 295 p.
1906 Dostoïevski. Les frères Karamazov. <Brat’ja Karamazovy, 1879-1880> Paris : Fasquelle. Traduit du russe par J.-W. Bienstock et Charles Torquet. Edition complète en un volume. 489 p.
1923 Dostoievski, Fiodor. Les frères Karamazov. <Brat’ja Karamazovy, 1879-1880> Paris: Bossard. Traduit du russe par H. Mongault et Laval. Seule traduction intégrale & conforme au texte russe. 422 + 388 + 305 p.
1929 Dostoïevsky, Th. L’esprit souterrain. <Chozjajka, 1847 + Zapiski iz podpol’ja, 1864> Paris : Plon. Adaptation revue et pécédée d’une preface par E. Halpérine-Kaminsky. 258 p.
1930 Dostoïevsky, Th. Le journal intime de Raskolnikov. Suivi de Précoces. <Extraits de Prestuplenie i nakazanie, 1866 + Brat’ja Karamazovy, 1879-1880> Paris : Plon. Adaptation et introduction par E. Halpérine-Kaminsky. 263 p.
1932 Dostoïevsky, Th. Les frères Karamazov. <Brat’ja Karamazovy, 1879-1880> Paris : Plon. Traduit et adapté par E. Halpérinsky et Ch. Morice. Edition révisée et préfacée par E. Halpérine-Kaminsky. 251 + 254 p.
1882 Dostojewskij, F.M. Raskolnikow. <Prestuplenie i nakazanie, 1866> Leipzig: Friedrich. Nach der vierten Auflagen des russischen Originals: „Prestuplenie i nakazanie“ übersetzt von Wilhelm Henckel. 297 + 267 + 309 p.
1885 Dostojewski, Theodor. Erniedrigte und Beleidigte. Roman. <Unižennye i oskorblënnye, 1861> Berlin & Stuttgart: Verlag von W. Spemann. Aus dem Russischen übersetzt und mitt einer Einleitung versehen von Konstantin Jürgens. 226 p.
1886 Dostojewski, Theodor. Aus dem todten Hause. Denkwürdigkeiten eines nach Sibirien Verbannten. <Zapiski iz Mërtvogo doma, 1860-1862> Dresden und Leipzig: Verlag von Heinrich Minden. Frei nach dem Russischen. 411 p.
1887 Dostojewski, Theodor. Arme Leute. <Bednye ljudi, 1846> Dresden und Leipzig: Verlag von Heinrich Minden. Aus dem Russischen von A.L. Hauff. 248 p.
1888 Dostojewski, Fedor. Der Hanrei. Roman. <Večnyj muž, 1870> Berlin: Fischer Verlag. Deutsch von August Scholz. 251 p.
1890 Dostojewski, F.M., Der Spieler. Aus den Erinnerungen eines jungen Mannes. <Igrok, roman, 1866> Berlin: Verlag von Otto Janke. Aus dem Russischen übersetzt von L.A. Hauff. 288 p.
1890 Dostojewski, F.M. Erniedrigte und Beleidigte. <Unižennye i oskorblënnye, 1861> Berlin: Verlag von Otto Janke. Aus dem Russischen übersetzt von L.A. Hauff. 292 p.
1890 Dostojewski, F.M. Aus dem todten Hause. <Zapiski iz Mërtvogo doma, 1860-1862> Berlin: Otto Janke. Aus dem Russischen übersetzt von L.A. Hauff. 311 p.
 For an extensive, though incomplete, overview of early German translations of Dostoevsky, I refer to Romein (1924: 196-200) and Bautz (1990: 1365-1372). In spite of its promising title, the recent bibliography of Schweikert (2003: 7) does not mention the German translations of Dostoevsky, neither does it mention translations of other “generally known authors”. For an overview of early French translations of Dostoevsky, I refer to Romein (1924: 210-212), Boutchik (1934: 50-58), and Gide (1923: 5-6). The first Dutch translations of Dostoevsky’s Besy (1871-1872, Demons) and Idiot (1868, The Idiot) were only published in, respectively, 1920 and 1922 (Waegemans & Willemsen 1991: 159, 165). Kingma (1981) and Waegemans & Willemsen (1991). According to the testimony of Dostoevsky’s contemporary Suvorin, Alëša Karamazov was to become an anarchist and was to kill the tsar in the sequel that Dostoevsky had planned for his Brat’ja Karamazovy (cf. Frank 2003: 727). According to Halpérine-Kaminsky (Dostoïevsky 1929: xii) : “la merveilleuse adaptation scénique des Frères Karamazov dont la construction et le développement ont été exactement calqués sur notre texte français du roman, comme me l’a écrit l’un des auteurs de la pièce, M. Jacques Copeau.” The French piece in question had repercussions on the Dutch literary community through the publication of a predominantly positive critique in the weekly magazine De Samenleving (Moor 1910 : 649). Stokvis himself was the very first in the Netherlands to translate Dostoevsky directly from Russian into Dutch; in 1906 his translation of Belye Noči was published (Dostojefskiej 1906). The very first German translation of Brat’ja Karamazovy was published in 1884 (cf. Bautz 1990: 1366). Another German translation of the same novel, by S. Himmelstjerna, was brought out in 1901 (cf. Romein 1924: 200). In 1906 a totally new one, this time provided by E. K. Rahsin, was published (cf. Bautz 1990: 1366). The following Dutch works were translated from the German: (a) Schuld en boete (Dostojewsky 1885),(b) De misleide (Dostojewski 1886), (c) Arme menschen (Dostojewsky 1887), (d) De speler (Dostojewsky 1890), (e) Arme Nelly (Dostojewsky 1891), (f) Uit Siberië (Dostojefsky 1891), (g) Uit het doodenhuis (Dostojewski 1906) and (h) De echtgenoot (Dostojewski 1907). Respectively the following German translations from the Russian served as effective source texts for the here above mentioned Dutch translations: (a) Raskolnikow (Dostojewskij 1882), (b) Erniedrigte und Beleidigte (Dostojewski 1885), (c) Arme Leute (Dostojewski 1887), (d) Der Spieler (Dostojewski 1888), (e) Erniedrigte und Beleidigte (Dostojewski 1890), (f) Aus dem todten Hause (1886), (g) Aus dem todten Hause (Dostojewski 1890) and (h) Der Hahnrei (Dostojewski 1888). Namely respectively De gebroeders Karamazow (Dostojewsky 1930) and the translation by A. Kosloff De gebroeders Karamazow (Dostojefski 1932), cf. Waegemans & Willemsen (1991: 162, 164). Strinkingly, the former once again includes a translation of the epilogue invented by Halpérine-Kaminsky and Morice. Moreover, this translation provides the reader with illustrations of the novel made by the artist André Vlaanderen, including an illustration of an invented scene which shows Alëša sitting in jail having his vision of the monk Zosima (cf. De gebroeders Karamazow. Derde en vierde deel. Dostojewsky 1930: 248).